Hello and welcome! Yes, I know it's only August but new stuff from Tim Holtz is in the house so I had to play. 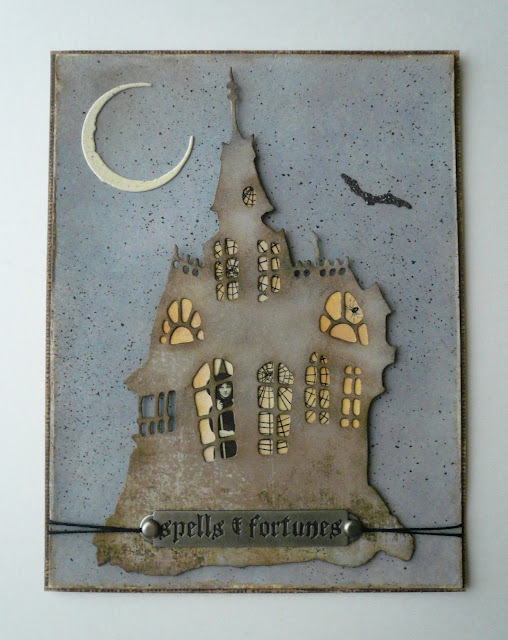 For this card I used the new Haunted House Dies, Skulls & Cobwebs Stamp Set, Ancestors Papers Dolls, Halloween Word Bands and Halloween Remnant Rubs. I've got more goodies to play with so I'll see you soon. Thanks for stopping by!